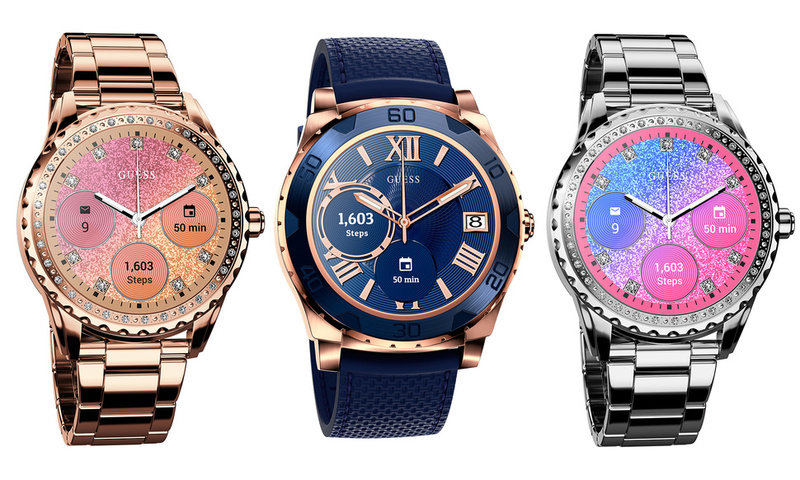 The well-known fashion brand – Guess, is gearing up to launch an overhauled version of its Connect smartwatch at Baselworld 2017 on March 23. The new version will come with Android Wear 2.0 OS at heart along with Qualcomm’s new Snapdragon Wear 2100 chipset to power the wearable. Based on the available information, the Connect smartwatch runs Android Wear 2.0 which means that it will offer a variety of digital watch faces. Another nifty feature on the watch would be its ability to send text messages straight from the watch by using keyboard or handwriting recognition. Android Wear 2.0 makes wearables smart enough to operate standalone apps without being dependent on a smartphone. These include fitness apps as well. What remains to be seen is that whether the watch comes with waterproof rating or not. Google Assistant will also be a part of the package, hopefully. Along with Assistant, we might also get to see Android Pay functionality on the smartwatch because it runs Android Wear 2.0 that entails all the core features. To recap, Guess’s first stint with smartwatches was in collaboration with Martian. It was among the first few fashion brands who ventured into the fashion wearable arena. However, the first Connect smartwatch was not a fashionable wearable, and it failed to impress the buyers who wanted an elegant hybrid of tech and style. This time around, Guess seems to be more focused on its target consumer base and by the looks of it (pictures), the new version looks trendier. Guess Connect Android Wear is expected to go on sale sometime later this year – in Fall / Winter 2017.